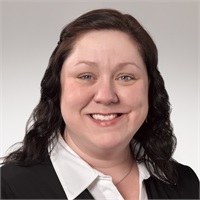 As Operations Manager, Brandi Murray provides the day-to-day operational support for the firm, including scheduling, document preparation and processing, and any other tasks that allow the advisors to focus their time on their clients rather than operations. Prior to joining CovingtonAlsina, Brandi studied Latin and Ancient Roman History at Sweet Briar College and Utah State University. She also spent several years working with the Army Community Service Center in Mannheim, Germany providing support, training, and resources for the spouses and families of US military members serving there. Outside of work, Brandi enjoys spending time with her children, playing the flute in her local community orchestra, and teaching creative writing classes for youth.